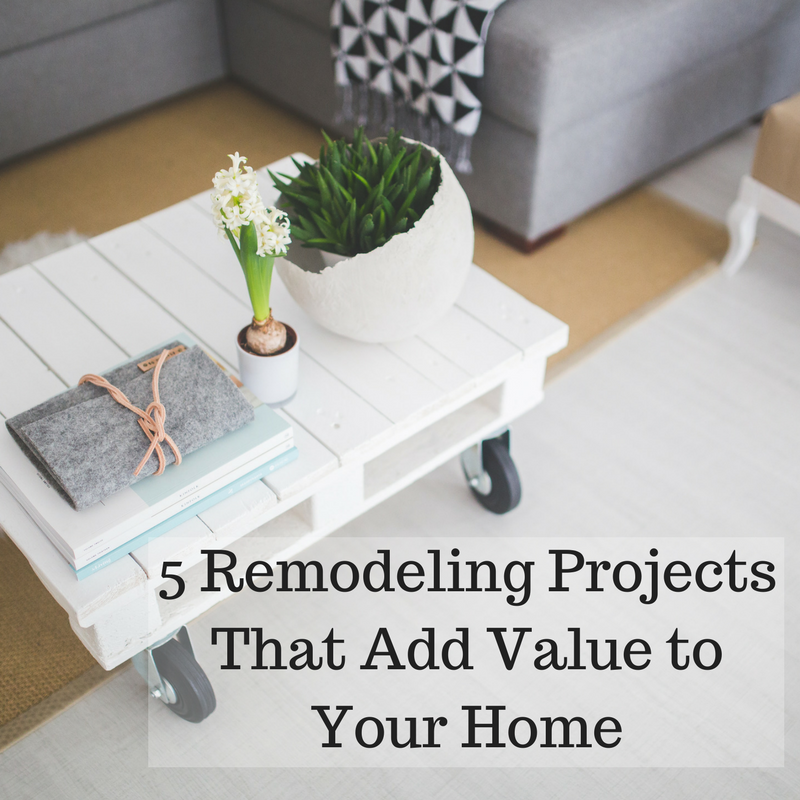 Whether you are thinking of making a few upgrades to your home or completely remodeling, here are a list of projects that offer the biggest bang for your buck. Two-Story Addition – Any addition that increases square footage will add value! Bathroom Remodel – Nothing turns off buyers like an outdated bathroom. Replace fixtures, install a new toilet, and repair or replace the bathtub. New Windows – New windows will insulate a home better, save on energy, and also look sharper. Most of all, future buyers will be happy to avoid the cost & hassle of having to do upgrades. Minor Kitchen Remodel – No need to completely gut your whole kitchen! Replacing cabinet fronts & adding new hardware might be all you need to give your kitchen a refresh. Replacing old appliances with stainless steel models will also make the kitchen look more modern. Add a Steel Entry Door – Because of their low cost and durability, adding a steel door typically offers the highest ROI of all home projects, according to Remodeling Magazine.